Welcome to Day Eight of our 12 Days of Christmas Contest! in our Gallery and we can't wait to see more! 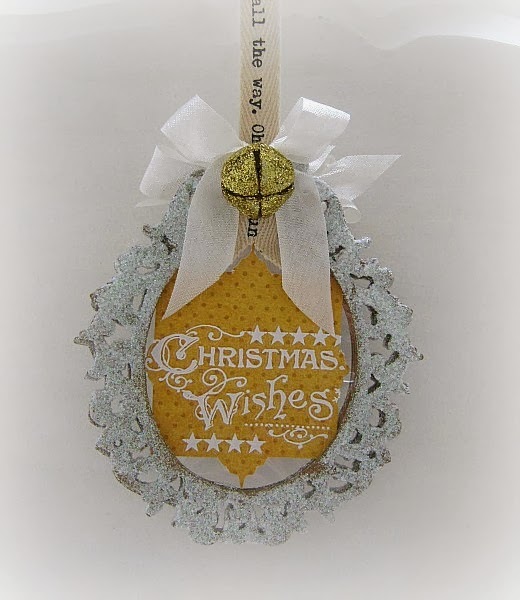 YOUR ASSIGNMENT: Create/alter at least 2 Christmas ornaments! and upload your project in the gallery by midnight, EST! 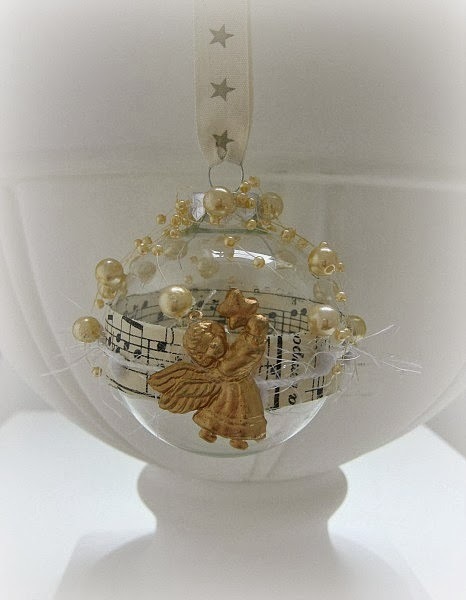 Some music note paper, wrapped around a glass ornament, finished of with an little angel and some pearls. I used a decoupage technique on this one. 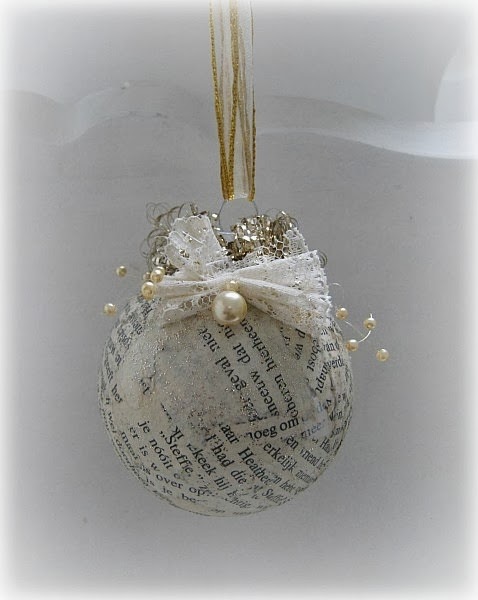 Teared old book paper in little pieces and used Multi Medium to add the paper to the glass ornament. **TIP** Lightly mist the pieces of paper with water, this way they are easier to work with. Then finished it of. 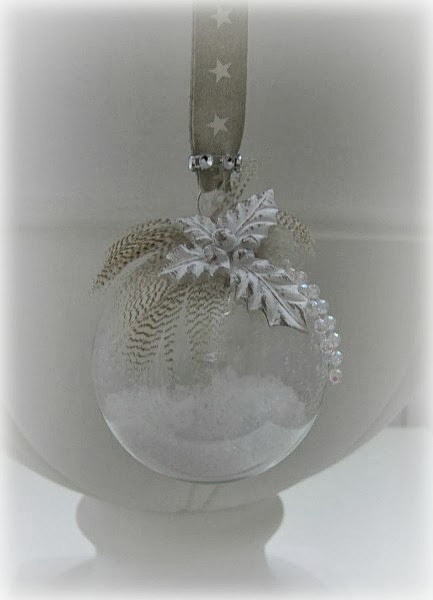 How about some fake snow (powder) inside the bauble? The feathers and Prima Marketing Resin are so pretty together. This one has definitely some color, and was done in NO time. 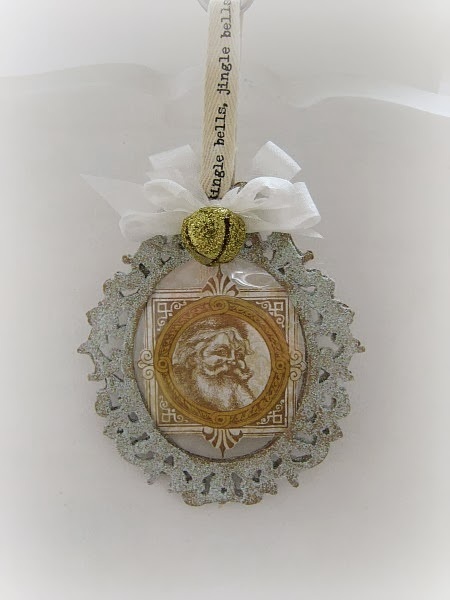 I love this Ornate Frame Die from Tim Holtz. 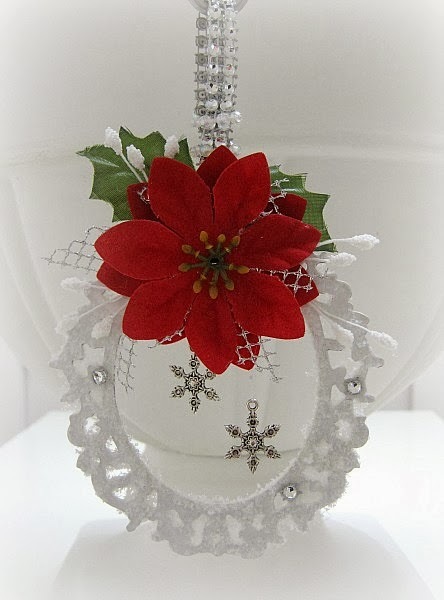 So versatile and gives you the opportunity to create beautiful Christmas Ornaments. This, vintage Santa, one is double sided. I cut 2 ornate frames and glued a piece of transperancy between them. 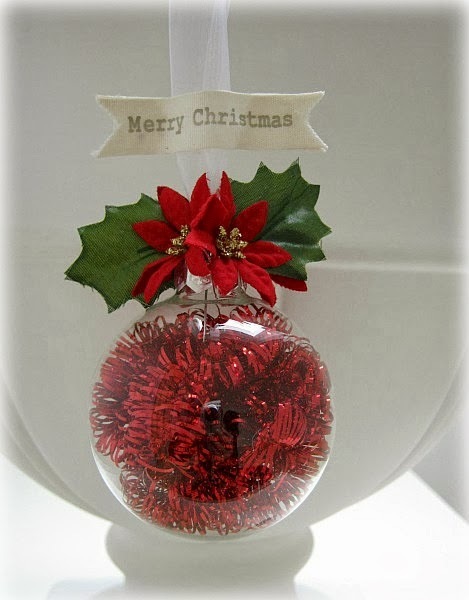 This is the front of my ornament and in the picture below you can see how the back looks. I hope you feel inspired already. 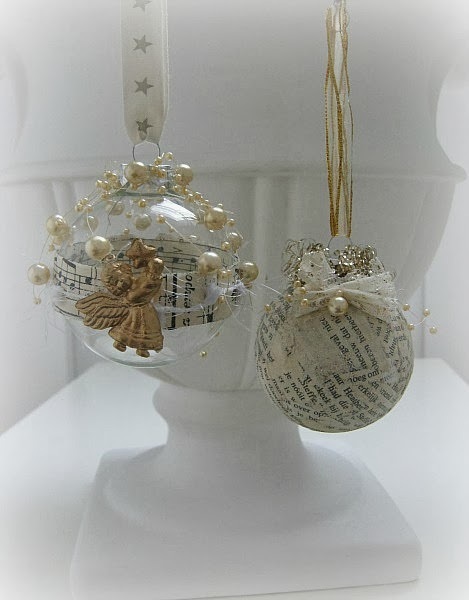 Again, YOUR ASSIGNMENT: Create/alter at least 2 Christmas ornaments! We can't wait to see YOUR ornaments! Paulien these are all so pretty!